"I saw an untapped market…" Taking all bets! 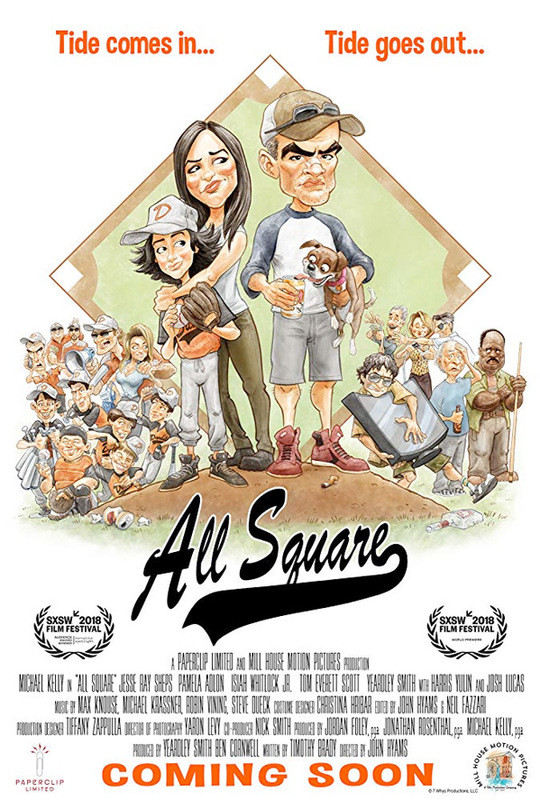 Vertical Entertainment has released an official trailer for an indie comedy titled All Square, which first premiered at the SXSW Film Festival this year and played at a few other fests. All Square stars character actor Michael Kelly as a down-on-his-luck bookie who befriends an ex-girlfriend's son and begins taking bets on his youth baseball games, creating chaos in the community. Sounds like fun, actually. The full ensemble cast of this indie includes Pamela Adlon, Jesse Ray Sheps, Josh Lucas, Tom Everett Scott, Isiah Whitlock Jr., Harris Yulin, Yeardley Smith, Jonathan Rosenthal, Craig Walker, Jay Larson, Neal Huff, and Brett Davis. This looks good - like Scorsese meets Linklater, telling an amusing small-town crime story surrounding kids' baseball games. Check it out. John Zbikowski (Michael Kelly) is a down-on-his-luck, small town bookie having a hard time collecting on outstanding debts. After a one night stand with ex-girlfriend Debbie (Pamela Adlon), John strikes up an unlikely friendship with her 12-year old son, Brian (Jesse Ray Sheps), and develops a plan to recoup the money owed to him by taking bets on Brian's Youth League Baseball games. All Square is directed by American filmmaker John Hyams, director of the films One Dog Day, Universal Soldier: Regeneration, Dragon Eyes, and Universal Soldier: Day of Reckoning previously. The screenplay is written by Timothy Brady. This first premiered at the SXSW Film Festival earlier this year. Vertical Entertainment will release Hyams' All Square in select US theaters + on VOD starting October 12th this fall. Anyone want to see this?